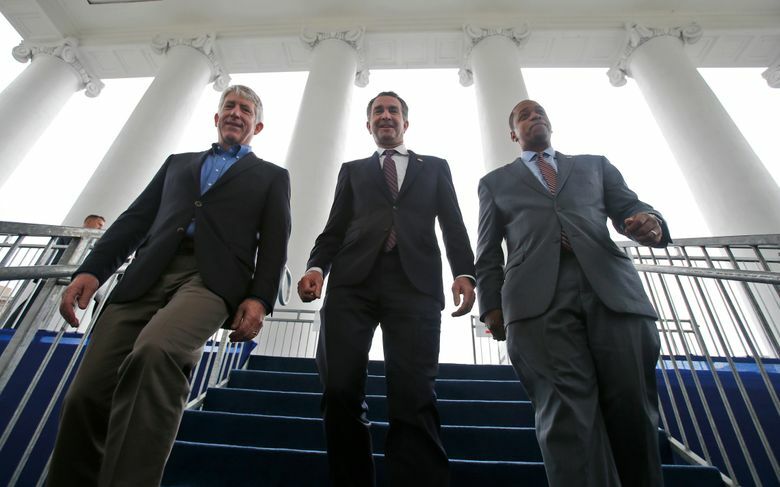 RICHMOND, Va. (AP) — All three of Virginia’s top elected officials remain in office despite varying calls for their ouster amid scandals involving blackface costumes and sexual-assault allegations. But each has taken a slightly different path forward. Gov. 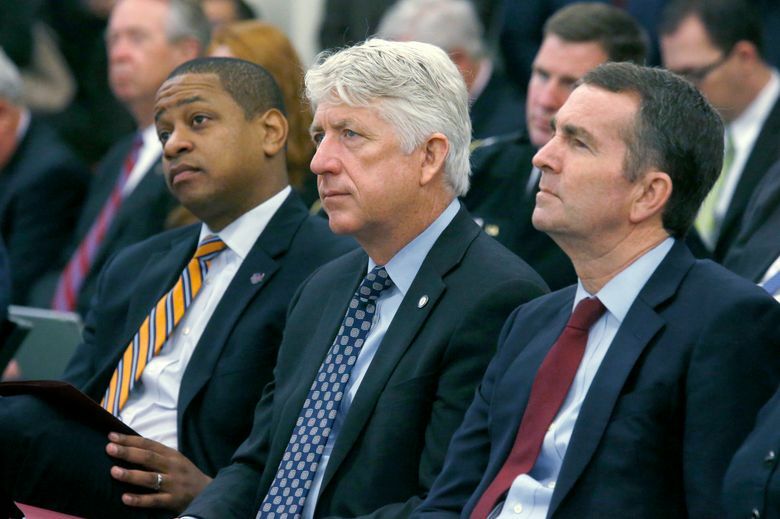 Ralph Northam and Attorney General Mark Herring both admitted earlier this month to wearing blackface years ago. Lt. Gov. Justin Fairfax, meanwhile, has vehemently denied accusations of sexual assault from two women. The stakes are high: If all three were ousted, a Republican legislative leader would become the next governor. Northam is planning a listening tour and has pledged to make fighting for racial equality in Virginia his top priority. In exchange, some black leaders have indicated they are willing to give him a second chance and let him serve through the end of his term in January 2022. State law prohibits him from seeking re-election. Northam also has met with black leaders and says he’s trying to better understand the state’s racial history by reading books by black authors. The governor, who informed staff last week that he won’t resign, has pledged to devote his final three years to policies aimed at healing the state’s racial divide. Some black community and political leaders seem receptive, with one group of clergy saying Monday that Northam deserves a second chance. The chairman of the Virginia Legislative Black Caucus also signaled a reluctant willingness to work with Northam, saying he planned to meet with the governor soon to discuss black lawmakers’ priorities. The uproar began on Feb. 1 when a conservative website publicized the existence of a racist photo on Northam’s 1984 medical school yearbook page. In it, one person appears in blackface and the other is dressed in a Ku Klux Klan hood and robes. Northam initially said he was in the photo, but then denied it the next day. He did admit to wearing blackface at a dance contest that same year, however. Fairfax remains in a precarious position as he presides over the state Senate in the aftermath of two sexual assault allegations. In recent days, he has taken a leave of absence from the law firm where he works while the firm investigates. Four staff members from his state office and political action committee have resigned. Calls for his resignation have slowed, however, and a Democratic lawmaker backed off a plan Monday to seek impeachment. Political experts say it appears that Democrats are aware how bad it could look for the party if Fairfax, who is black, were rushed out of office, while the two other white leaders who admitted wearing blackface managed to stay in power. Black community leaders have asked that Fairfax’s due-process rights be respected. The lieutenant governor has emphatically denied the allegations, which date back 15 years or more. He has asked for an independent investigation, though it’s not clear what agency would conduct it. Herring seems to be the least at risk of losing his job. After rumors began circulating at the Capitol, he met last week with the state’s Black Caucus before issuing a statement that he put on brown makeup for a costume at a college party in 1980. In urging time for the state’s top lawyer to regain public trust, caucus members and members of the state’s congressional delegation credited his individual apologies to them. On Monday, a group of black clergy and community leaders said Herring deserves a second chance. He’s kept the lowest profile of all three top Democrats since his blackface admission: He has issued no other statement, made no public appearances and avoided answering reporters’ questions. Prior to the scandal, he had issued news releases and spoke publicly about law enforcement nearly every week.